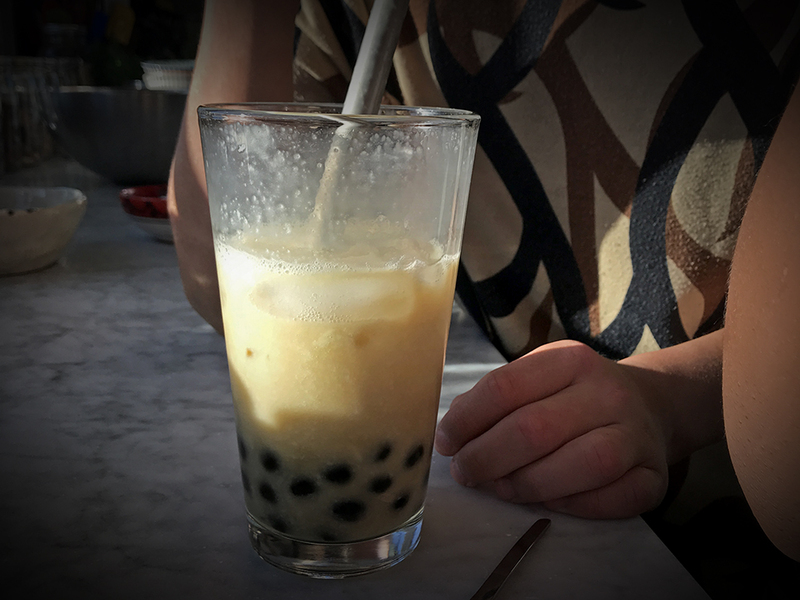 Bubble Tea is a Taiwanese invention said to have originated in the 80’s at a well-known tea stand. Randomly some flavor was shaken into tea, the bubbles that formed with the shake essentially named the drink. Milk tea was already quite common, so adding sweet flavors become new way to enjoy it. Tapioca pearls came next, which had just been introduced to Taiwan and were heavily used in desserts and sweet delicacies. It was only a matter of time before they made their way into the sweet, dessert-like milk tea concoction.